Liverpool is the perfect setting for prestigious events, we’re proud to be a unique venue in Liverpool within a growing community of other unique and unusual event spaces. Not only is it known worldwide as the birthplace of the Beatles, it’s also a designated UNESCO World Heritage Site, meaning it’s on par with the Taj Mahal and the Great Wall of China! The world famous waterfront is a main feature of Liverpool, lined with docks, listed warehouses and magnificent event spaces, and there are hidden gems to be found in the heart of the city too. Here are 10 venues to discover. Unique festival inspired space Camp & Furnace covers an entire city block. It’s comprised of a complex web of timeworn industrial spaces, from an Edwardian foundry and a former coach builders to an industrial blade-making factory, with a total footprint of over 35,000 sq.ft. Home to the Lord Mayor of Liverpool, the city’s dramatic Town Hall makes a grand setting for any occasion. Whether you are planning a wedding, award ceremony, conference, family celebration, training event or gala dinner, the venue’s state rooms provide an impressive backdrop. With a world-famous waterfront location, unique venue ACC Liverpool features Europe’s only interconnected arena, conference and exhibition centres, perfect for conferences, exhibitions and banquets. Constellations is a unique Liverpool event space which takes its guests on a voyage of discovery. The venue is an intersection of art, music, food and conversation, with rustic themed outdoor areas perfect for summer entertaining. The intriguing space of Oh Me Oh My can be found opposite the Royal Liver Building, within a Grade II listed building steeped in history. During the week its a grand tea house, but at weekends its the setting for special events. Sefton Park Palm House has been lovingly restored to offer the perfect location for exclusive events. Whether you are planning a wedding, a private party or a stylish corporate event Sefton Park Palm House, together with the venue’s experienced Events Team, can provide you with the perfect space. With stunning views across the central space to the High Altar the Well offers a unique view of the Cathedral. With a ready-made stage area the Well has the ability to offer a truly intimate experience. Many choose to combine the Well dining experience with a pre-dinner reception in the Lady Chapel. Banquets and dinners for up to 300 can be held at this historic space, which comes complete with vaulted arches and exposed brickwork. The venue includes a bar and PA System, perfect for events. The Titanic Hotel Liverpool is conveniently located in close proximity to John Lennon Airport, Liverpool city centre & Lime street station. The Rum Warehouse is to be one of the most prominent Conference and Exhibition spaces in the city.The ground floor can accommodate 1000 people theatre style or an exhibition of 800 sq.m. Liverpool’s centre for the contemporary arts, Bluecoat showcases talent across visual art, music, dance, live art and literature. As the most historic building in Liverpool’s city centre, Bluecoat has four galleries. It houses a creative community of artists and businesses and runs a participation programme with local communities. 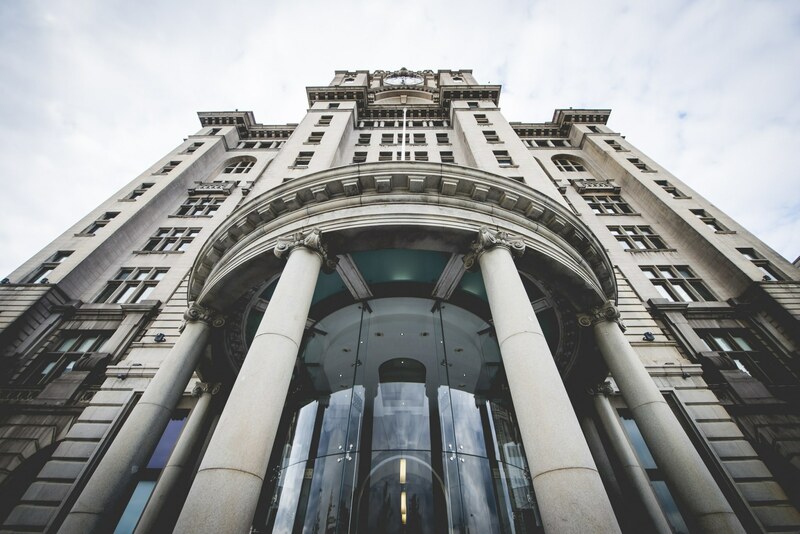 Of course, no venue can match the historic Royal Liver Building for a truly unique, iconic event space.